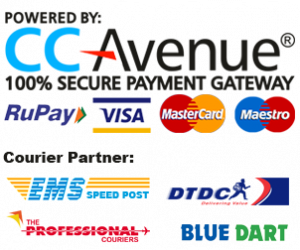 View cart “Dermal Syn-Ake Hydro Gel Eye Patch (60 Sheets)” has been added to your cart. 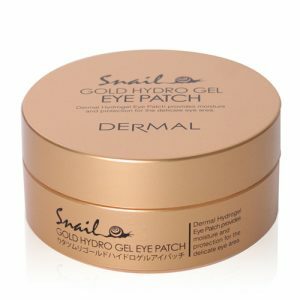 Dermal Snail Gold Hydro Gel Eye Patch is very effective to exfoliate and renew the skin around your eyes. The secret of the eye patch is Snail Mucin. The Mucin is produced whenever snail moves around. The Mucin’s key characteristic is its ability to form gels. The major component of Mucin is chondroitin sulfate it always keeps the skin around your eyes resilient and it moisturizes the skin. The glycolic acid in snail mucin regenerate cells produce collagen and elastin, which even out skin tone and smooth its surface. Dermal Snail Gold Hydro Gel Eye Patch reduces puffiness of under eyes with lightens the Dark Circle. Dermal Syn-Ake Hydro Gel Eye Patch contains SYN-AKE peptide which has received SWISS TECHNOLOGY AWARD on the year of 2006 for its effect of Anti Wrinkle treatment & preventing muscle contraction, penetrates into skin deeply keeping it smooth, nourished & elastic. The Syn-Ake concept is based on Waglerin 1, which is poisonous substance existing in inside of Temple Viper ( Poisonous Snake ), therefore, Syn-Ake prevents muscle contraction, and it decreases the wrinkle. 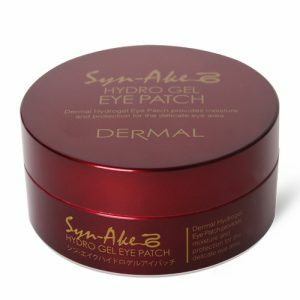 Dermal Syn-Ake Hydro Gel Eye Patch works as a substitute for the “BOTOX” It reduces Crow’s feet, Fine Lines, Wrinkles, Puffiness & Dark Circle Under Eyes. 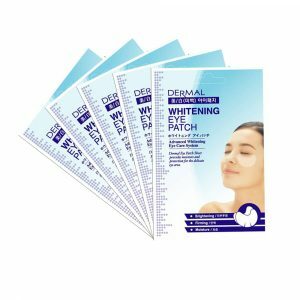 Dermal Whitening Eye Patch is advance whitening eye care system contains Arbutin 2.0%, Hydrolyzed collagen, Peptides which reduces dark circle, puffiness, fine lines, wrinkles. Eyes looks stress free after each application. Dermal Eye patch sheet provides moisture and protection for the delicate eye area.